Like you’d expect with a new version of any tech, WiFi 6 is faster. It supports a data rate of up to 9.6 Gbps. Compare that to your WiFi 5 and it’s almost three times as fast. OFDMA allows for more people to connect on any single channel of the router. This is a more efficient way to increase the number of people who connect, while also reducing latency (slowness) and maintain a high rate of data transfer. MU-MIMO also increases data throughput and the number of clients connecting at once. It does this slightly differently by allowing more data to be transferred at once. A simple analogy would be going from a store with only one cash register and no barcode scanners to a store with a bunch of new cashier lanes with barcode scanners. More devices can be served with the same quality, faster. WiFi 6 will also have an improved signal power within its range, allowing for faster data rates and a more stable signal. Target Wake Time (TWT) is another technology that WiFi 6 will use. Qualcomm, the maker of many WiFi chips, says it will help, “…phones to use up to 33% lower power…” when using WiFi. The basic concept is that your phones WiFi will only wake up when it needs to transfer data. How Good is WiFi 6 Really? Let’s say you’re watching Netflix in the living room, your partner is watching Hulu in the bedroom, your teenage daughter is streaming Spotify in her room while video chatting with her friends, and your younger son is 6 hours into an epic Fortnite binge. Would you cringe as you saw your Netflix stutter and drop quality? Not with WiFi 6. All that could go on and you wouldn’t notice with a WiFi 6 network in your home. That’s what WiFi 6 promises. Will My Older Phone Work with WiFi 6? The short answer is yes. You won’t get all the benefits of WiFi 6 by connecting your older device to a WiFi 6 router, but you will be able to connect and use it. It may mean that you’re able to connect to WiFi easier in a crowded coffee shop and have a better transfer rate if they have a WiFi 6 access point. So, yes, your phone, tablet, computer, and IoT devices will work with a WiFi 6 router. Will My WiFi 6 Phone Work with My Old Router? Again, the short answer is yes. And just like we covered in the last section, you won’t have the benefits you would by connecting to a WiFi 6 router. The older router still has its limits and your phone cannot exceed them. Just because you have a Ferrari doesn’t mean you can ignore the speed limits. 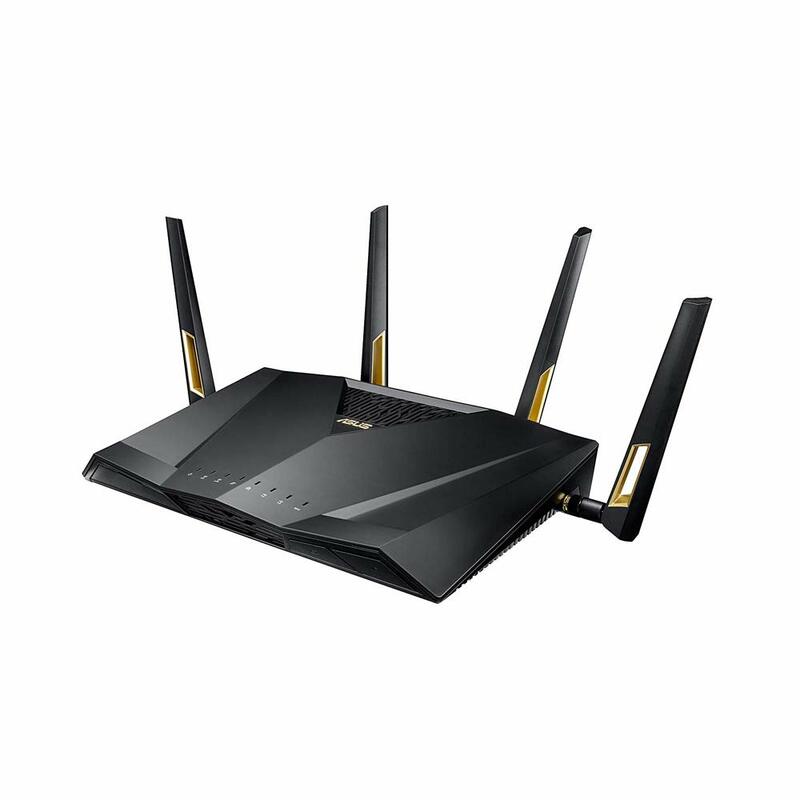 Do I Need a WiFi 6 Router? This is the age-old quandary of need versus want. If you want to have all the benefits of the new WiFi 6 standard, you will need a WiFi 6 router to go with your WiFi 6 phones, tablets, computers, and smart devices. If you’re content with your current router, then no, you don’t need to get a new router. When you do get a new router, keep in mind our advice on boosting your WiFi signal and improving its performance. You want to squeeze every drop of performance out of it. What Devices Will have WiFi 6? The Samsung Galaxy S10 is the biggest phone name to hit the market with WiFi 6 so far. Expect to see Apple, Google, and everyone else follow the trend with their next product releases. You’ll also start to find WiFi 6 built in to cars. Qualcomm has made a WiFi 6 chip that will, “support Gigabit in-car hotspot and to deliver efficient Wi-Fi connectivity throughout the vehicle, supporting ultra-high definition (ultra-HD) video streaming on multiple displays, screen mirroring from compatible devices and wireless back-up cameras, as well as Bluetooth 5.1 support”. Also, most WiFi router manufacturers already have WiFi 6 routers on the market. Prices start at around $130 and go up from there. What Else Should I Know About WiFi 6? Depending on the maker of the router or device, expect to see enhanced Bluetooth 5.1 capabilities, synergies with the new 5G cellular data standard. Expect 5G capabilities on the best Android phones this year. There will also be integration of WPA-3 security for better data protection. Basically, everything gets better.